Why Would You Want a Cloud-free Smart Speaker? “We can actually deliver a higher quality solution with less features…We’re not trying to do a completely open domain thing where I can ask my smart speaker, ‘What’s the weather in Thailand?’ I can ask some simple local functions and its the kind of functions that people really like to do. If I want to know the weather in Thailand, then I can pick up my phone…It’s real simple functions…in this smart speaker example. It’s things like volume control. It’s pairing with your phone. It’s next song and pause music. It’s setting a timer. It’s asking what time it is. If the natural language processing unit is not trying to understand all speech but instead is limited to a few commands, the processing can all be done on the device. This is what Sensory does with its wake word and other embedded speech and biometric technologies. The company has been around for more than 20 years and its technology has shipped in more than three billion devices. At CES 2019, more than 100 products were on display using Sensory’s embedded software ranging from LG phones and Samsung appliances to GoPro cameras, and the new UEI Butler universal remote control. Sensory even provides speech recognition software components to some of the leaders in the field such as Amazon and Google. The customer for Sensory’s technology is device makers who market and sell end products to consumers. 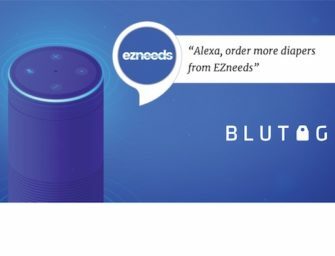 Mozer tells Voicebot that the technology development was driven by one of the company’s existing customers and that he expects offline smart speakers will be available for demonstration and sale at CES 2020.